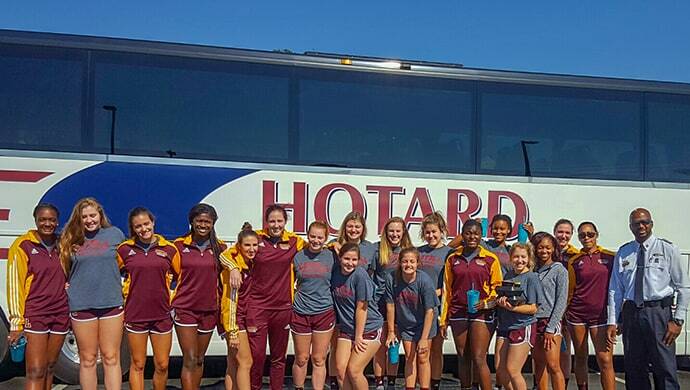 Please fill out the form below to request a quote for a group charter bus. If you would like to speak to us directly, please call 800-356-6831. No matter the group or event, we look forward to helping you plan your next outing. Charter buses are the perfect addition to any occasion! Whether you’re staying local or going on a cross-country adventure, Hotard is here to help take your group where you want to go. Our professional drivers and 24 hour travel support are dedicated to making your travel experience safe, comfortable, and enjoyable. 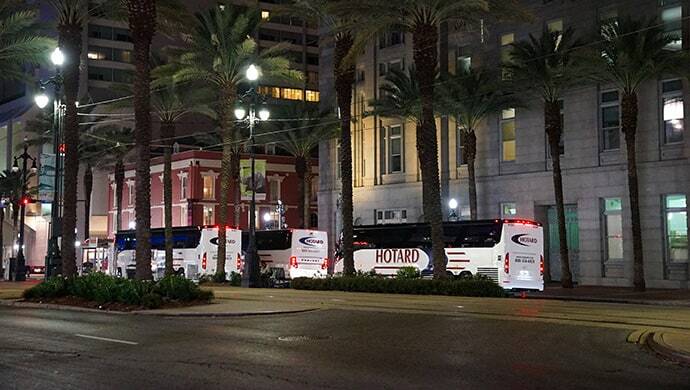 From business event transportation, and conference shuttles, to full-service employee transportation solutions, Hotard has the experience to help you achieve your business goals. Our modern buses are equipped with power outlets and optional WiFi so your people can stay connected on the go. With our regular Casino Shuttle schedules, you can get to your favorite local casinos with ease. 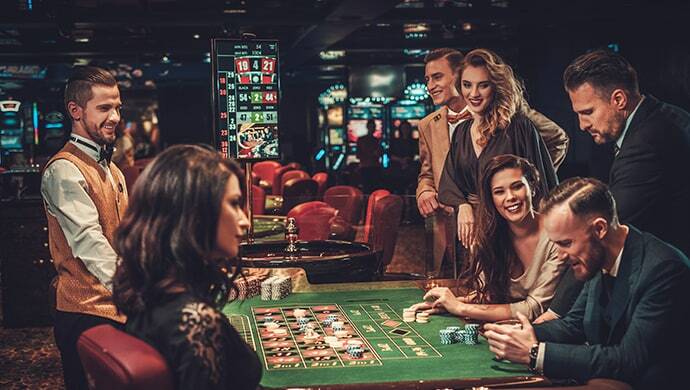 We also offer private casino charter buses so you can take your group to the casino of your choice on your own schedule. View our Casino page for more information. We know there are team practices and games to get to, as well as figuring out food, accommodations, and other scheduling logistics. We’d love to assist you with your transportation needs! Our drivers are solely dedicated to your schedule, and our charter buses are designed to get your group wherever you need to be without sacrificing comfort or flexibility. Whether you are conducting outreach at a local hospital or headed out of town for a church retreat, motorcoach travel has the flexibility to do whatever you need in ease, comfort, and safety. With plenty of storage for luggage, tools, or even musical instruments, we’re here to get your congregation where they need to go. We are proud to be a DOD-certified company, and we have held that certification for the last 20 years. We work hard day-in and day-out to ensure that whenever the armed services choose Hotard Coaches, they will do it knowing that we have invested the time, energy and resources needed to keep them safe. Each member of our team, from sales to drivers, shares a commitment to excellence, and we want that reflected in everything we do. If your family is visiting from afar, what could be better than showing them what your local area has to offer? From food and wine outings to reaching all the kid-friendly areas, we can help. Want to hold your family reunion somewhere remote and private? We can assist in getting the whole family there in safety, style, and comfort. Imagine taking the entire team on one motorcoach, arriving at the game together ready to play, with plenty of space for players, families, and gear. Our luxury charter buses accommodate up to 56 passengers, have video capabilities, and wifi available, so you can arrive at the game in style. Whatever game is coming up next on your team’s itinerary, we’d like to take care of all your transportation concerns so you can focus on keeping the ball rolling! 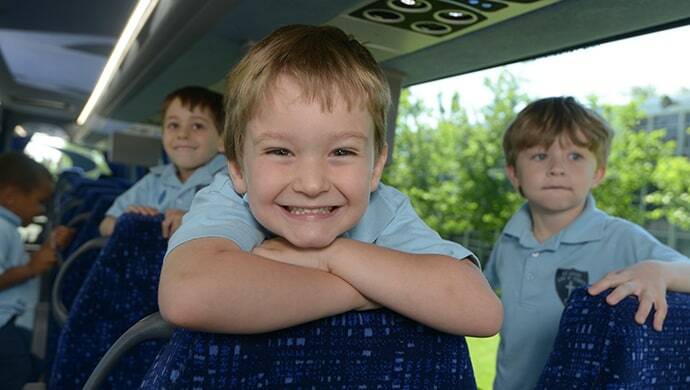 Our charter buses come with the option of several convenient amenities. Enjoy Wi-Fi, power, video screens, individual reading lights and air-flow control to ensure your players are comfortable and connected when on the road. 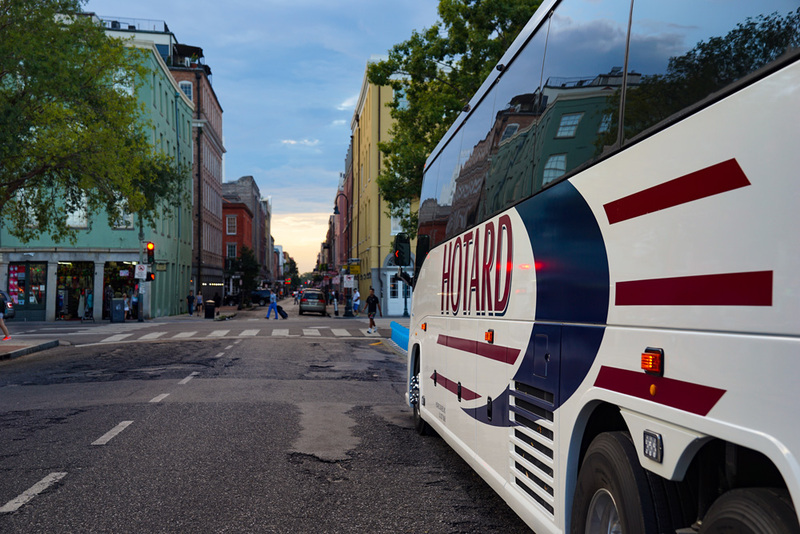 Whether you’re getting young kids to school or in need of a way to get a bunch of students to a field trip location, Hotard Coaches is the best solution! Not only can each coach carry up to 56 passengers, there is also lots of additional storage room for food, recreational items, or study supplies that you may need to bring along. There’s also the option to get a charter bus that is equipped with a bathroom, TV screens, and Wi-Fi to help make longer distances a breeze. Have you found yourself at the mercy of a construction project that is impacting your business? Do you have a parking problem that’s making it hard for employees to get to work? From public transit feeder shuttles to employee transportation solutions, we can offer the expertise you need to get it planned, built and executed. View our Contract services page for more information. When you’re planning your wedding, the last thing you need to worry about is getting your guests safely to and from your venues. Whether you’re moving all your guests, or just the bridal party, we’ve got you covered. Let Hotard Coaches do the driving so you can focus on having the best day of your life. 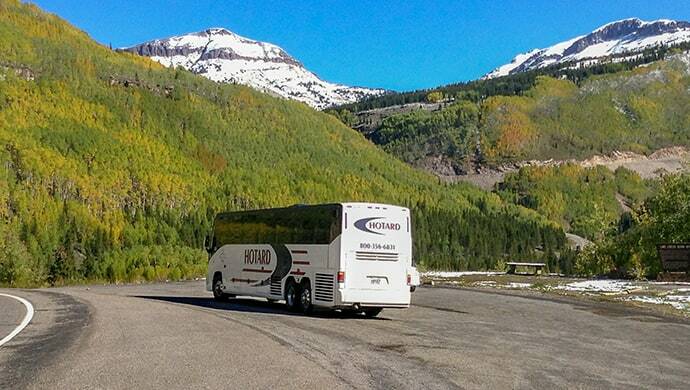 Hotard Coaches can help you plan the trip you’re looking for. We offer transportation to national parks, quiet country retreats, and major cities like Denver, Boston, New York, Chicago, Washington D.C. and more. Our experienced team is ready to plan an exciting tour to fit your group’s needs and budget. - Ali D., LSU Alumni Assoc.